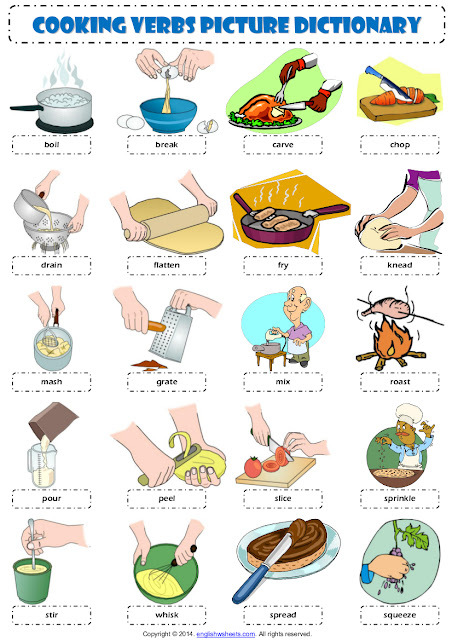 1 - Ask students what verbs/words we use to talk about cooking. write some on the board and mime them to ensure understanding. Otherwise ask students to use smart phones for translation. 2 - Elicit words and write them on the board, use mime to ensure understanding. 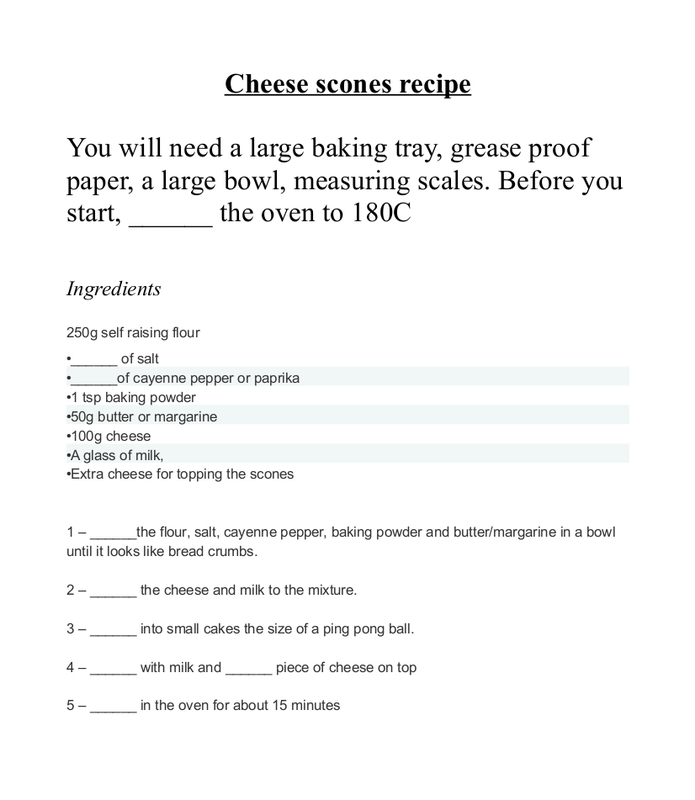 4 - Students copy down any words they didn't know, check comprehension. 5 - In pairs, student mime words from the photocopy and the other s have to guess them. 6 - Now explain that you are going to give them a recipe (or write it on the board) and that they have to copy them into their notebooks but some words and/or numbers will be missing. (Just choose numbers for beginner students). 7 - Read the recipe aloud and have students fill in the missing gaps. from myself i can also recommend to check out this blog. there are a lot of useful articles aswell.